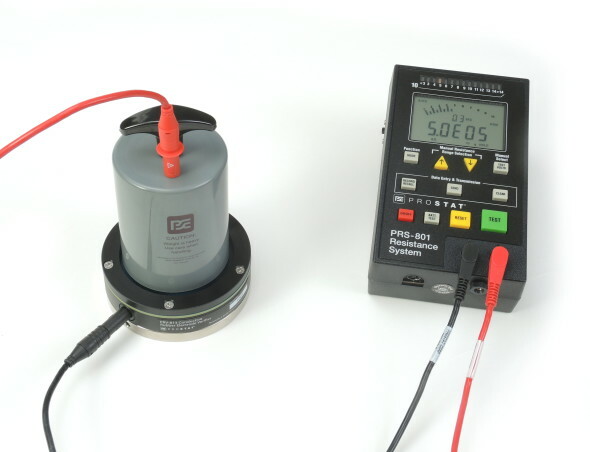 Prostat Corporation | ESD Blog » Not all 5lbs Conductive Rubber Electrode are created equal! Home > Uncategorized	> Not all 5lbs Conductive Rubber Electrode are created equal! Not all 5lbs Conductive Rubber Electrode are created equal! The Prostat PRV-813 Rubber Electrode Verifier has been designed because people in our industry keep asking, “Why do we get different resistance measurements with different electrodes?” After years of measurements, sometimes many thousands of measurements, electrodes are different from “new” and there is no realistic means to assess the current condition of used electrodes. We found that the PRV-813 is a positive step toward answering this important question. The purpose of the PRV-813 fixture is to define the condition of the electrode(s) at any point in time, and particularly prior to testing materials for qualification against industry standards, or certifying new material installations. It is true that the pad composition is very important, and subject to contamination and wear. Using the PRV-813 we measured several different manufacturer’s electrodes when new. 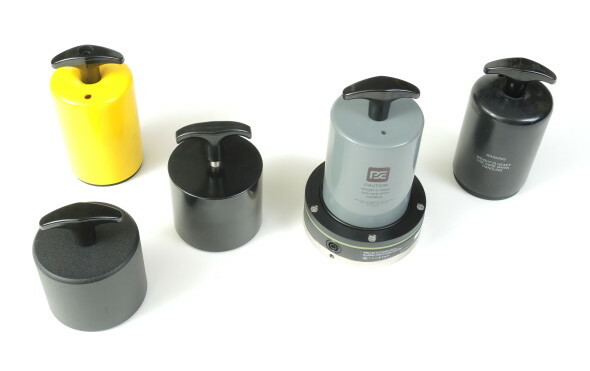 We found that virtually all of them are within 10% of our surface flatness criteria, and resistance to the PRV-813 test bed was under 100 ohms. Once electrodes are well used they are all different, regardless of manufacturer. Prostat has been aware of variations in electrode measurements (and design) for quite some time. Our concern is: there is no standard method for evaluating electrodes used in material qualification. We can measure pad durometer, resistance [sic], size, weight and thickness but it is difficult to measure flatness and one needs a specialized test bed to accurately measure true electrode resistance. Measure the resistance of an electrode on a standard 3M or Prostat metal test bed, then measure it on the Prostat PRV-813 test bed. You will see a huge difference. In our tests we have seen as much as 200+ ohms difference in resistance characteristics of the same electrode on different metal test beds. Is this important? Until a realistic assessment of electrodes and performance against various reference materials is conducted, all is speculation and, I believe, rather subjective. But the fact is, a flat low resistance electrode is most desirable for qualifying materials. The PRV-813 was developed to “dial in” Prostat’s electrodes and we have established a repeatable criteria for establishing electrode characteristics. Using this fixture one can differentiate electrodes having a flatness accuracy of ±1%, 5% or greater percent deviation from the PRV-813 flatness reference. Why is flatness important? As electrodes wear pressure per square inch increases significantly. The nickel plated, polished brass test bed provides the lowest possible resistance measurement of an electrode – any electrode. So, one can track the impact of contamination on a specific electrode, if that is a consideration. 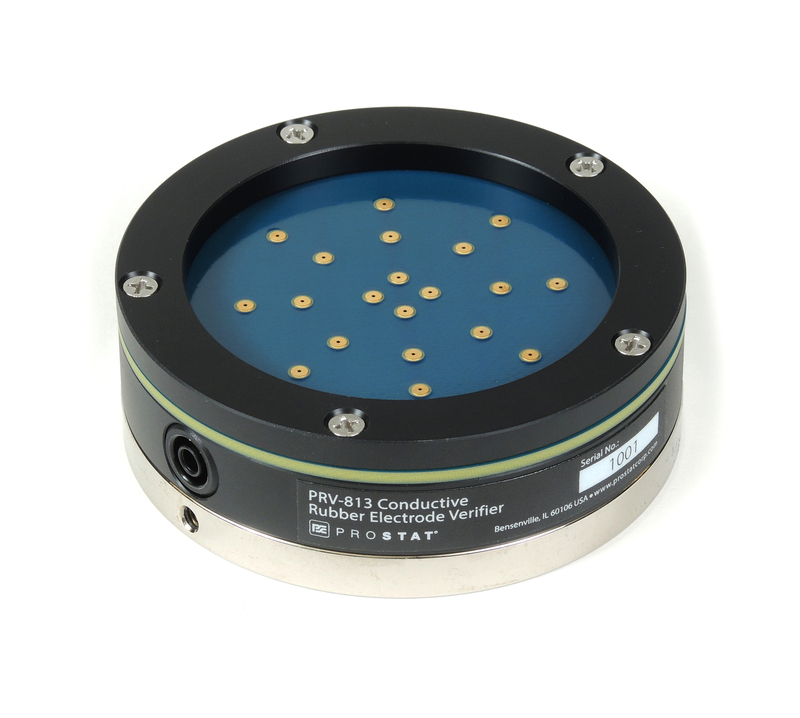 Note that contamination changes electrode conductivity and contact resistance. For us, we can quantify an electrode’s characteristics and performance against our own references prior to shipment. Our intent is not to differentiate Prostat electrodes from its competition. Rather, we assume all electrodes are “good” when new. It is use and exposure to different materials that cause all electrodes to change because of wear and contamination issues. Error in Prostat Autoanalysis Software – Invalid Page Margins Can you measure cloth samples using a concentric ring with an electrode in surface resistance mode?